Yankees ace Whitey Ford, who had lost Game 6 in 1962, and Games 1 and 4 in 1963, saw his World Series losing streak reach four games in 1964, as he couldn't survive the sixth inning of 1964's opener. New York enjoyed a 4-2 lead until the sixth, when the Cardinals scored four times. Mike Shannon got things started with a two-run homer, and Curt Flood finished things with an RBI triple. The Cards tacked on three more in the eighth and won handily, 9-5. Game 2 was close until the Yankees broke things open with four runs in the ninth, Mel Stottlemyre going all the way to win, 8-3. In New York for Game 3, fans were treated to a pitcher's duel, as Curt Simmons and Jim Bouton battled to a 1-1 draw through eight frames. Knuckleballer Barney Schultz, who pitched three solid innings of relief in Game 1, came in to pitch the ninth for St. Louis. Leading off, Mickey Mantle hammered Schultz's first pitch deep into the right-field stands for a game-winning homer. Ray Sadecki had won Game 1, but he couldn't escape the first inning of Game 4, as the Yankees scored three runs on two doubles and three singles. After the first, however, New York managed just one hit -- Clete Boyer's fourth-inning single -- the rest of the game. Meanwhile, in the sixth, Clete's brother Ken hit a grand slam into the lower left-field stands. That ended the scoring, the Redbirds taking the 4-3 decision thanks to 8 2/3 innings of scoreless relief by Roger Craig and Ron Taylor. 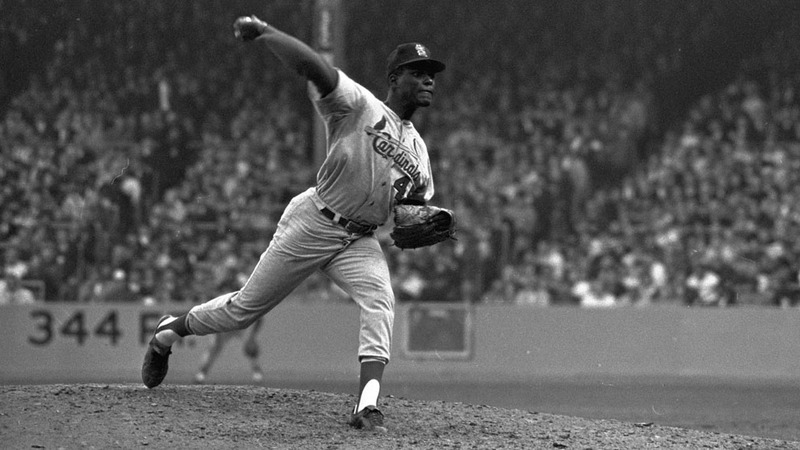 In Game 5, Bob Gibson was practically untouchable until the ninth when, with two outs, Tom Tresh hit a two-run homer to tie the contest at two runs apiece. In the top of the 10th, though, St. Louis catcher Tim McCarver answered with a three-run homer into the right-field stands, and Gibson finished off New York in the 10th. The World Series went back to St. Louis for Game 6, with the Cardinals needing just one victory to lock it up. They wouldn't get it yet, as Jim Bouton pitched 8 1/3 strong innings and Joe Pepitone hit a grand slam to lead the Yankees past the Redbirds, 8-3. Game 7 matched a pair of starters working on two days rest -- Gibson and Mel Stottlemyre. Neither was particularly sharp in the finale, but Stottlemyre was less sharp, and was lifted after the fourth with the Cardinals ahead, 3-0. St. Louis tacked on three more in the fifth, and despite two Yankee solo homers in the ninth, Gibson went the distance for a 7-5, World Series clinching victory. ©2019 MLBAM, LP. All rights reserved.